Do you want to become part of the 15th edition of Kinofilm Festival 2018? Please let us know if you have preference of any of the following roles. – Guest and Filmmaker Coordinator: The successful candidate for this crucial and important role in the festival should have some previous experience working on a film festival or of a similar role in any festivals and/or events. – Venue Coordinator: Would you like to plan and organise the festival venues? We are currently looking for just one or two volunteers to plan and manage the festival tickets and venue bookings etc. – Press, marketing and social media guru: From leafleting to social media, press, graphic design and website editing – our marketing teams are always looking for people to help with publicity and social media marketing. 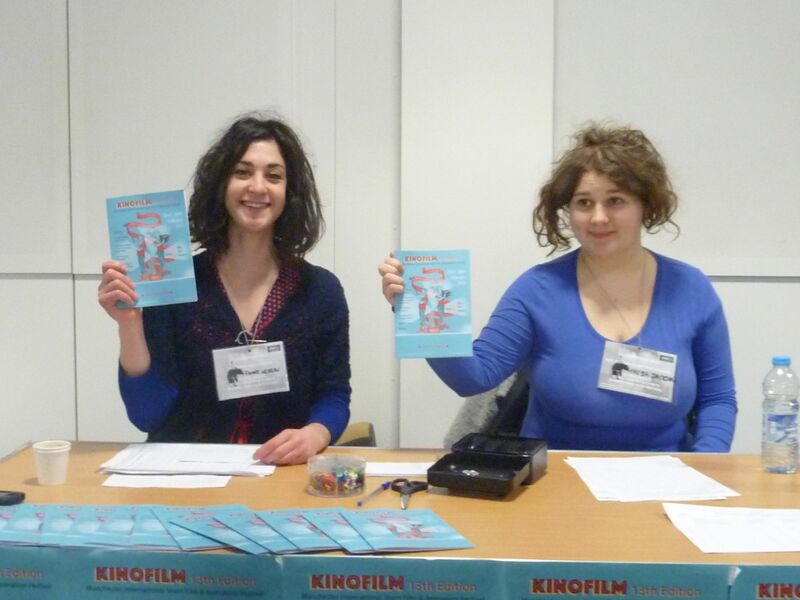 – Venue Assistants: These volunteers help usher and run the individual screenings of the festival, assisting the Venue Coordinators in any way necessary. Excellent customer service skills and a passion for cinema are a must. – Venue technical operators: Could you get involved in projecting films at our events? We have a limited number of technical operators available at the moment. You will work in a team to ensure on-time screenings at various venues around Manchester. – Filmmakers: Could you help to run a filmmaking workshop or organise a ‘meet the industry’ day or similar event to inspire new filmmakers? – Festival Runners and Stewards: Reporting directly to the Festival Managers, you will be assigned a variety of tasks to assist with the smooth running and operation of the festival. An ability to think on your feet and boundless energy are required. – Film Crews: We are looking for film production teams who can create videos documenting festival events — this includes filming, presenting and editing videos for the festival from start to finish. – Festival photographers: As a photographer you will cover a range of screenings, Q&As and events. You will create a selection of photographs to be used in social media, publications and promotions for the festival.